Bourbon American by Jack Daniels of Bourbon, American. . Jack Daniel was obsessed with making nothing but the finest Whiskey. . 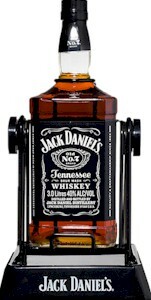 It refines the rich flavour even before it's fully matured in Jack Daniel coopered barrels.